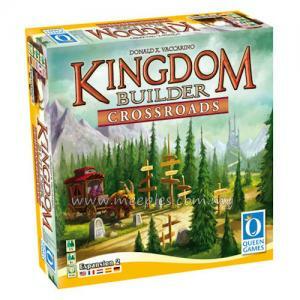 New locations and new challenges are what the land needs! 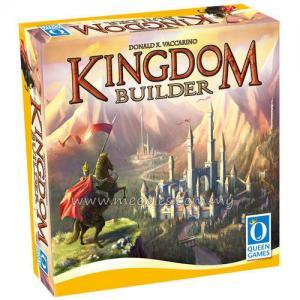 Kingdom Builder: Crossroads - the latest expansion of Donald X. Vaccarino's 2012 Spiel des Jahres winner - Kingdom Builder, includes 4 new landscapes with 2 different location spaces to offer new options to shape the kingdom. The task cards challenge players to build their settlements in a certain way in order to gain even more gold at the end of the game. 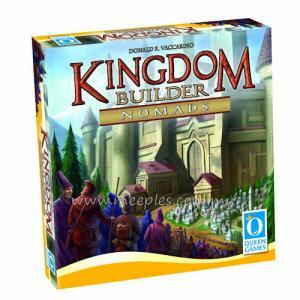 *NOTE* This is not the full game, Kingdom Builder is required for play.